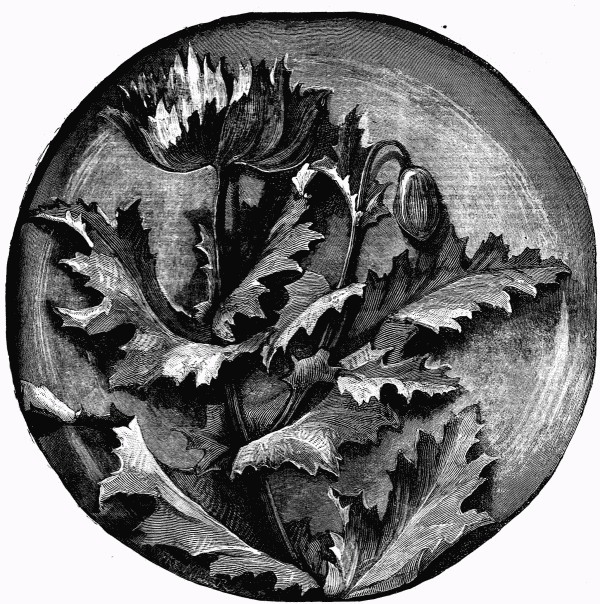 Black and white dimensional floral plate drawing. One large and dramatic flower and an equally dramatic bud stand atop stems and leaves of these floral stems. This larger flower image is 600 pixels in diameter. It’s such a shame that they didn’t identify an illustrator when they published The Girl’s Own Paper, Vol. VIII, No. 357, October 30, 1886.